Here at Walker Adventures, we pride ourselves in providing our clients with active adventures in South America. 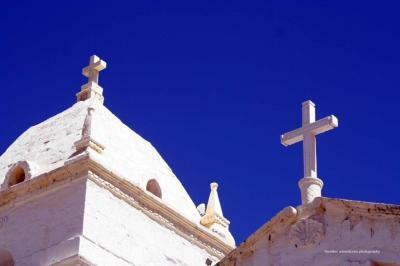 We have been a leader in South America Adventure Travel for over 10 years. Owner, Pam Walker, has been a South America Adventure Advisor since 1975. Sights and sounds in South America come together in a fusion of nature and the bustling city. Whether you are looking for the perfect solace in the midst of the spectacular nature in the forests, mountains or valleys of the Andes, or the excitement of the big city like Buenos Aires,, make sure you get your bags packed. Walker Adventures is the leader in Active Adventures in South America. Find the perfect hike or trail, or a bike through city streets. For those who enjoy the luxury of South American culture and hospitality, our team can arrange the personalized experience for you of a lifetime and all with the comfort and luxury of deluxe accommodations, gourmet meals and the special wines of South America. Your holiday will never be quite the same. Colombia is one of the most biodiverse countries in the world, a fact that attracts travelers looking for variety in their vacation. It is bordered by the Caribbean on one side and the Pacific on another, so if you want great beaches, you’ve got it. The Andes are here too, so if you prefer mountainous landscapes, you’re good to go. Got jungle fever? Set your sights on the Amazon. Whatever environment your heart desires, Colombia surely has it. Ask our South America Adventure Advisor about our special Holiday Light Tour in Medellin..hike the hills around the city t view this amazing site in December of every year. Become a Coffee Expert with our program in Armenia where you hike the hills and pick the beans, then toast them and taste your home brewed coffee. We always provide active adventures. Also if orchids are your hobby, we hike the mountains in search of beautiful bromeliads to add to your collection. Marvel at giant turtles, sunning seals, and comic penguins in the Galapagos, where scuba divers may also meet manta rays and hammerhead sharks offshore. Head to Tena for white-water rafting and kayaking, or go canoeing in the Amazon basin. Visit El Oriente’s rainforest for a chance to spot jaguars and anacondas. Saddle up for a horseback ride in the Andes, or hire a guide to lead you to the 19,347-foot summit of the Cotopaxi volcano. Tren Ecuadors amazing packages take you down the "Devils Nose" to Guayaquil and amazing Pacific beaches. And don't forget a visit to Mitad del Mundo where you can stand with one foot in the Northern Hemisphere and the other in the Southern Hemisphere. 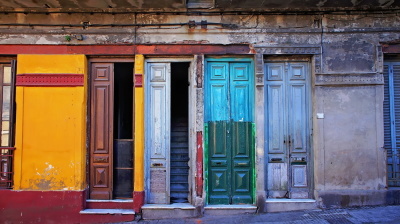 Ask our South America Adveuture Advisor about our Hacienda Stays at any of our friends historic homes. Hike snow covered mountains, and the same day go surfing in the Pacific...it is only 4 hours away from the Andes peaks. In our Active adventures, we also have a Wellness Retreat Program. Do a Sunrise Salute overlooking a beautiful Andean Lake.. Our Active adventures also include riding horses into the mountians to beautiful waterfall. See amazing wildlife in the rain forest where tigrillos (small ocelots) hunt for prey. Don't forget to take the Sky Bike high above the forest. Also visit a buterfly garden and hummingbird garden. A Walker Adventures always provides you with an active adventue in all areas of Ecuador. You’ll forge unforgettable memories hiking the Inca Trail to Machu Picchu’s ruins, but Peru is no one-hit wonder. Watch Andean condors circle above Colca Canyon, take a flight over the mysterious Nazca Lines, which form shapes apparent only from the air, and gaze at the serrated silhouette of the Cordillera Real Mountains as you cruise Lake Titicaca. In Lima, spend a sultry evening in the Barranco district’s cliff top clubs and cocktail bars. 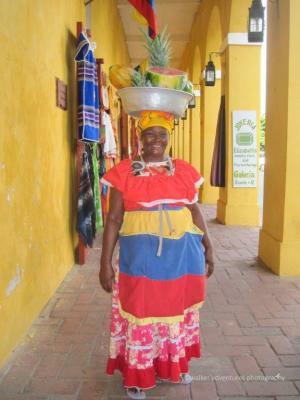 Ask ourSouth America Adventure Advisor about our Shaman Discovery program, Weavers Villages Prgram, Foodie Highlights in the Culinary Captiol of South America or Hacienda Stays Program. There are so many adventures in Peru. Hike the Inca Trail..or the Weavers Trail to Salkanty...visit the Urus or Lake Titicaca...pr surf off the nothern or southern beachs of the Pacific Coast! Active Adventures in South America! Explore Chile’s otherworldly beauty with a ramble across the lunar-like landscape of the Valley of the Moon, a glimpse at the glittering planets from La Serena’s multi-million dollar observatories, and a cruise among ethereal southern fjords. Gape at the 10,000-foot peaks that pierce the sky in Torres del Paine National Park, and take an excursion to remote Easter Island, where massive, stony-faced statues prove a stellar attraction. 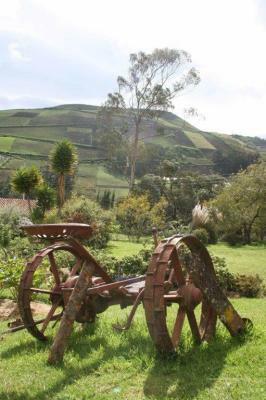 And taste the wines of the Cochagua Valley while staying in an amazing hillside villa or hacienda. From here visit the Falkland Islands too. Ask our South America Adventure Advisor about our Create your own Wine Program, Easter Island Festivals Program, High Desert Program where you can sand board in the Atacama Desert or Hacienda Stays near Pucon and the Villarica Volcano. 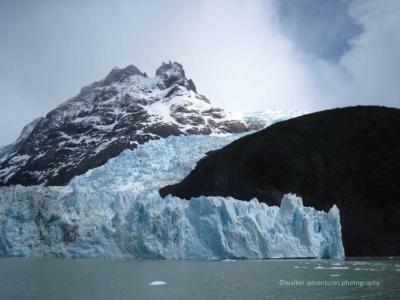 Ask about our active adventures in the Glacier fields of Patagonia! Fall in love all over again beside Iguazu Falls, a crashing confluence of cascades tumbling over a plateau bordering Argentina and Brazil. Feel your hearts pound in unison while rock climbing in Patagonia’s Los Glaciares National Park or hiking Tierra del Fuego’s Glaciar Martial. Drink a toast to a fine romance in a Mendoza vineyard, or lose your head in the clouds aboard the Tren a las Nubes, a railway traversing magnificent peaks and canyons. Don't forget the other Galapagos.. 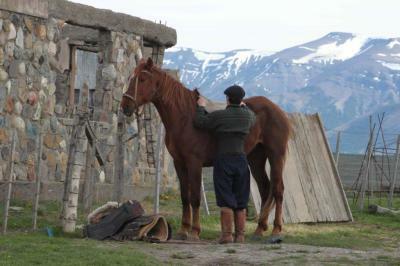 In Argentina it is known as Peninsula Valdez with its amazing wildlife. Ask our South America Adventure Advisor about our Chalten Discovery, Hacienda Stays in Patagonia, Learn to Tango Program and Street Food in Buenos Aires program, Wine Discoverys in Mendoza, Hiking the Continental Divide between Argentina and Chile or climb Mt. Aconcagua all very active adventures. From chivito steak sandwiches to morcilla salada sausages washed down with local wines, you’ll definitely eat well in Uruguay. Burn off those calories with a stroll along La Rambla, a coastal path that draws all walks of life in the culture-rich capital of Montevideo, or a turn through the cobbled streets of Colonia del Sacramento, Uruguay’s oldest city. You’ll want to be bikini-ready when you hit the world-class beach resorts of Punta del Este. Explore one of the first cities in South America at Colonia del Sacramento or play golf in Carmelo. Ask our South American Adventures Advisor about out Vineyard Speicals, and our Hacienda Stays. Brazil has famous beaches but you can also paddle through the Amazon, hike and bike in Chapada Diamantina National Park, and take a dip in aqua-blue lagoons cradled by the dunes in Lençóis National Park. In Minas Gerais, hike the trails of Ibitipoca National park. 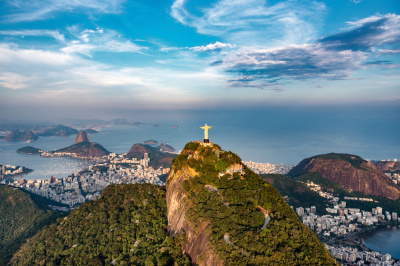 Rio and Sao Paulo are wonderful foodie cities with amazing hotels and restaurants, but head inland to cruise the headwaters of the Amazon with Pink Dolphins and Piranhias....or explore the Pantanal for the elusive Jaguar population. From November to March, visitors can travel through the Arctic Sound, a.k.a. Iceberg Alley, where they’ll see spectacular 10,000-year-old glaciers, their colors ranging from brilliant white to deep aquamarine. 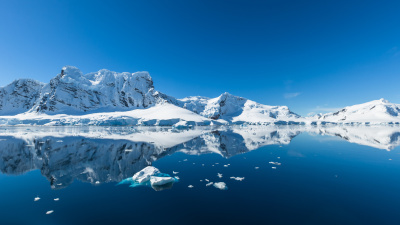 Also a must-see are the volcanic South Shetland Islands—Zodiac excursions get travelers close to the action while spotting humpback whales and emperor penguins. Ask our advisor about our Fly Over Program for those who don't want to cross the Dreaded Drake Passage strapped in a ship's bunk. And our Falkland Islands, Antartcia Combo. For more information on our South America services, please call us at 386-742-1334 or 888-790-8977. Or email us at [email protected] for more information.